Kishi M, Sakakibara R, Takahashi O, Nakamura H, Tateno F, Tsuyusaki Y, Aiba Y, Ogata T, Suzuki Y. Seiza-induced neuropathy: an occupational peroneal neuropathy in a Japanese lady. Neurol Sci. 2017 Aug;38（8）:1521-1522. Kishi M, Sakakibara R, Yoshida T, Yamamoto M, Suzuki M, Kataoka M, Tsuyusaki Y, Tateno A, Tateno F. Visual Suppression is Impaired in Spinocerebellar Ataxia Type 6 but Preserved in Benign Paroxysmal Positional Vertigo. Diagnostics （Basel）. 2012 Oct 11;2（4）:52-6. Kishi M, Sakakibara R, Ogawa E, Tateno F, Takahashi O, Koga M. Bilateral abducens palsy in a case of cytomegalovirus-associated Guillain-Barré syndrome. Neurol Sci. 2011 Dec;32（6）:1219-22. Kishi M, Sakakibara R, Nomura T, Yoshida T, Yamamoto M, Kataoka M, Ogawa E, Tateno F. Lateral medullary infarction presenting as isolated vertigo and unilateral loss of visual suppression. Neurol Sci. 2012 Feb;33（1）:129-32. Kishi M, Sakakibara R, Ogata T, Ogawa E. Transient phonemic paraphasia by bilateral hippocampus lesion in a case of limbic encephalitis. Neurol Int. 2010 Jun 21;2（1）:e8. doi: 10.4081/ni.2010.e8. 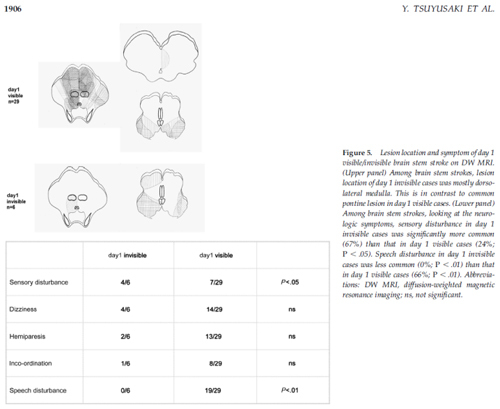 Kishi M, Sakakibara R, Nagao T, Terada H, Ogawa E. Thalamic infarction disrupts spinothalamocortical projection to the mid-cingulate cortex and supplementary motor area. J Neurol Sci. 2009 Jun 15;281（1-2）:104-7. Kishi M, Sakakibara R, Nagao T, Terada H, Ogawa E. Isolated Hemiataxia and Cerebellar Diaschisis after a Small Dorsolateral Medullary Infarct. Case Rep Neurol. 2009 Jul 21;1（1）:41-46. Kishi M, Fujioka T, Miura H, Sekine A, Iguchi H, Nakazora H, Kiyozuka T, Igarashi O, Ichikawa Y, Sugimoto H, Kurihara T, Irie S, Saito T. The relation of clinical symptoms and anti-ganglioside antibodies to MEPPs frequency increase in 8 cases of variant type Guillain-Barré syndrome. J Peripher Nerv Syst. 2003 Jun;8（2）:82-90. Kishi M, Kurihara T, Hidaka T, Kinoshita M. The stabilizing effect of bestatin on the resting membrane potentials of X-linked muscular dystrophy mice. Jpn J Psychiatry Neurol. 1990 Sep;44（3）:595-600. Kishi M, Kurihara T, Kinoshita M. A case of bilateral ptosis associated with cerebral hemispheric lesions. Jpn J Psychiatry Neurol. 1990 Sep;44（3）:585-8. Kishi M, Yamamura Y, Kurihara T, Fukuhara N, Tsuruta K, Matsukura S, Hayashi T, Nakagawa M, Kuriyama M. An autopsy case of mitochondrial encephalomyopathy: biochemical and electron microscopic studies of the brain. J Neurol Sci. 1988 Aug;86（1）:31-40. 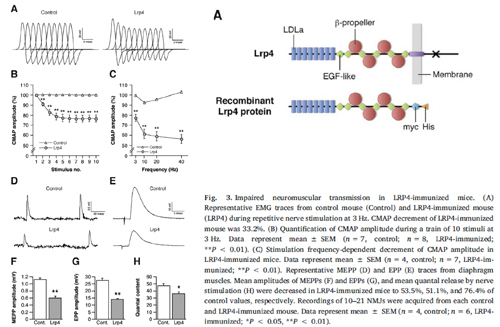 Mori S, Motohashi N, Takashima R, Kishi M, Nishimune H, Shigemoto K. Immunization of mice with LRP4 induces myasthenia similar to MuSK-associated myasthenia gravis. Exp Neurol. 2017 Nov;297:158-167. Tsuyusaki Y, Sakakibara R, Ogata T, Tateno F, Kishi M, Tateno H, Aiba Y. Depth perception disorder after left ventral occipital lobe infarction. Neurocase. 2016;22(2):248-50. Tsuyusaki Y, Sakakibara R, Tateno F, Aiba Y, Kishi M, Tateno H, Ogata T, Inaoka T, Terada H, Suzuki Y. Multiple system atrophy presenting initially as spastic paraparesis. J Neurol Sci. 2016 Jan 15;360:176-8. Tsuyusaki Y, Sakakibara R, Kishi M, Tateno F, Aiba Y, Ogata T, Nagao T, Terada H, Inaoka T. "Invisible" brain stem infarction at the first day. J Stroke Cerebrovasc Dis. 2014 Aug;23(7):1903-7. Tsuyusaki Y, Sakakibara R, Kishi M, Tateno F, Yoshida T. Downbeat nystagmus as the initial manifestation of anti-NMDAR encephalitis. Neurol Sci. 2014 Jan;35(1):125-6. How the Bladder Senses? A Five-Grade Measure. Tsunoyama K, Sakakibara R, Takahashi O, Sugiyama M, Uchiyama T, Tateno F, Kishi M, Tsuyusaki Y, Yamamoto T, Tanabe K. Low Urin Tract Symptoms. 2013 Jan;5(1):17-22. Pathogenesis of reduced or increased bladder sensation. Tsunoyama K, Sakakibara R, Yamaguchi C, Uchiyama T, Yamamoto T, Yamanishi T, Takahashi O, Sugiyama M, Kishi M, Ogawa E. Neurourol Urodyn. 2011 Mar;30(3):339-43. Crohn's disease and stroke in a young adult. Ogawa E, Sakakibara R, Yoshimatsu Y, Suzuki Y, Mouri T, Tateno F, Kishi M, Oda S, Imamura H. Intern Med. 2011;50(20):2407-8. Pure isolated internuclear ophthalmoplegia. Ogawa E, Sakakibara R, Kishi M, Tateno F. Intern Med. 2011;50(16):1785. Constipation triggered the malignant syndrome in Parkinson's disease. Ogawa E, Sakakibara R, Kishi M, Tateno F. Neurol Sci. 2012 Apr;33(2):347-50. VGCC antibody-positive paraneoplastic cerebellar degeneration presenting with positioning vertigo. Ogawa E, Sakakibara R, Kawashima K, Yoshida T, Kishi M, Tateno F, Kataoka M, Kawashima T, Yamamoto M. Neurol Sci. 2011 Dec;32(6):1209-12. Incidence of dehydration encephalopathy among patients with disturbed consciousness at a hospital emergency unit. Ogawa E, Sakakibara R, Endo K, Tateno F, Matsuzawa Y, Hosoe N, Kishi M, Shirai K. Clin Pract. 2011 Mar 31;1(1):e9. doi: 10.4081/cp.2011.e9.